When parties, bake sales, dinners, or other events that demand dessert arise, you won't have to worry about cramming shopping and baking into your already busy schedule. And instead of succumbing to sky-high grocery store and bakery prices in the name of convenience, you can simply reach into your freezer at no cost to you. Preserving cookies is also a great way to use up eggs, butter, and other ingredients that would otherwise spoil in your fridge, and turn them into delicious, long-lasting treats your family will love. The most convenient way to ensure you're ready for any special occasion is to freeze already baked cookies. According to The Kitchn, most types of cookies are able to retain their shape, freshness, and taste when frozen, but sugar cookies with icing, bar cookies, drop cookies, and biscotti are especially good choices. Once your batches are done baking, give them plenty of time to cool before you package them to be frozen. Once the cookies are cool, place them on parchment paper-covered cookie sheets and put them in the freezer until every cookie is frozen solid. Make sure the cookies aren't overlapping on the sheet, as this placement will cause them to stick together. When you're certain the baked goods are frozen, remove them from the sheets and place them in freezer bags. If you're storing cookies topped with icing, place pieces of parchment paper between each cookie, recommended The Kitchn. For best results, most bakers don't freeze their cookies with frosting or other toppings. This is especially true when it comes to jam, which is best applied right before serving. Adding details after the base of the cookie has been defrosted helps your baked goods achieve their full taste potential. Seal the airtight bags using The FoodSaver® FM5460 2-in-1 Food Preservation System and place the cookies in freezer storage. Satisfy your sweet tooth anytime by keeping frozen cookies on hand. There are a few ways you can defrost your baked cookies. Depending on the type of cookies you're working with and their toppings, you may want to adapt your method of thawing from batch to batch. Cookies with frosting or cream-filled centers taste best when simply left out to defrost on their own for a few hours. This technique allows the icing or filling to retain its shape without melting or getting watery. When you're ready to defrost your cookies, remove them from their sealed freezer bags. If you let the cookies defrost in the same packaging they were frozen in, you could end up with unwanted sogginess or condensation. For best results, place your cookies - making sure they aren't touching each other - on a serving dish to thaw. Most cookies thaw nicely just by being left out, but keep in mind that they'll be room temperature once they defrost. If you're looking to serve warm cookies, or are craving that sweet fresh-baked smell, you can warm up your treats in the oven or microwave. 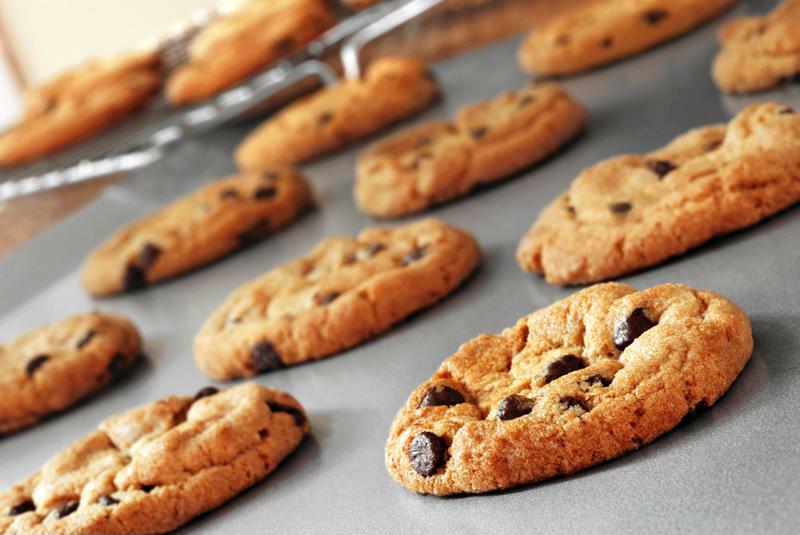 Most bakers prefer to use the oven, as it helps the cookies stay moist without loosing crispiness. To reheat the cookies this way, place them on sheets and bake them at 300 degrees for about five to ten minutes. If you enjoy a more doughy texture or are super short on time, warm the cookies in the microwave for 30 seconds and enjoy.